Heat gas or charcoal grill. In small microwavable bowl, mix preserves, lemon juice, soy sauce and onion powder. Sprinkle chicken with salt and pepper. Place chicken on grill; cover grill. Cook with medium heat 5 minutes. 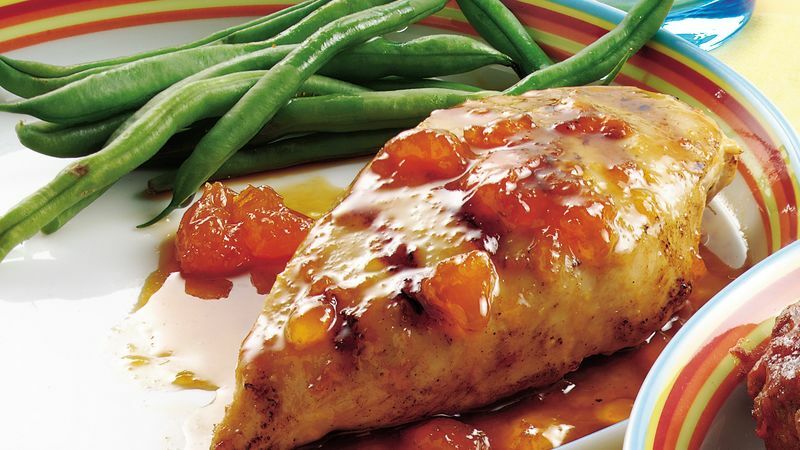 Turn chicken; spoon about 1 teaspoon preserves mixture over each breast. Cook covered 5 to 8 minutes longer or until juice of chicken is clear when center of thickest part is cut (170°F). Microwave remaining preserves mixture on High 30 to 45 seconds or until hot. Spoon over chicken before serving. Substitute peach jam for the apricot if you'd rather.